Business owners are busy people. They have a lot of responsibilities on their to do lists, numerous important people relying on them, and key decisions they need to handle confidently. Their metaphorical plates are often overflowing, and as a result, they don’t have the bandwidth to handle or delegate tasks that aren’t going to provide a direct and substantial benefit to their business. Often times, regular reporting is one of the things that gets lost in the shuffle – largely due to the fact that alarm business owners don’t fully realize how beneficial reporting can be for their company, both short term and in the long run. The truth is, good reporting practices are incredibly important for alarm businesses of all sizes. Has regular reporting fallen to the wayside in your alarm business? If it has, you may want to consider changing your company’s reporting culture. Here’s why. There are both short term and long term benefits to assembling regular reports on the performance of your alarm business. 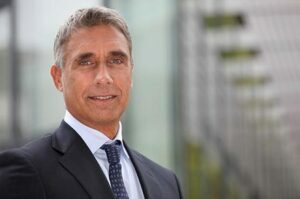 Looking at trends can help you to understand causes and effects within the flow of business, and can inform how you handle future transactions and situations. This can help you prevent costly mistakes in the future, and prevent you from repeating past mistakes. In the short term, reporting can help you to be better able to notice and take advantage of new opportunities coming your way. It can also help you to better evaluate the opportunities presented to your business, so you can pounce on those that have the potential to be the most fruitful for your organization. Having consistent reports on hand can help you to develop better systems and strategies, guiding you as you iterate on past methods to increase productivity, efficiency, and profitability. Regular reporting gives you easy access to the financial, customer, and service information you need to make informed decisions. Keeping these details on hand can enable you to make well informed choices quickly, without having to scramble to gather the necessary details and stats while you are under the wire. When it comes time to sell your alarm business, you can tell a potential buyer just how strong your organization’s finances and client contracts are, but you’ll likely have to back up those statements with numbers and reports that prove it. Having those reports on hand and ready to present to buyers can be a great way to demonstrate just how organized, trustworthy and transparent your business truly is. All desired reporting can’t possibly be completed during the due diligence portion of an alarm company sale. The only way to have good long term data spanning a period of time is to collect data regularly over that span of time. Having this data prepared ahead of time can help move due diligence along, speeding up the sale of your business. Regular, thorough reporting is a sign of a healthy, responsible, and transparent company. This can give your company a leg up in the sales process, making it more appealing to potential buyers. Buyers are often willing to pay more for a company that has all its reports and contracts in order. As a result, building and maintaining a healthy reporting culture can actually help to increase your company’s worth and incentivise potential buyers to pay more for it. Start Building Healthy Reporting Habits For Your Alarm Business Today! While many alarm business owners have reporting on their radar, most struggle to make it a priority because they don’t recognize the potential benefits that reporting provides. The reality is that regular reporting helps you to keep a finger on the pulse of your organization now, while helping you to assemble information and data that will make your company more accessible and appealing to buyers whether you’re hoping to sell soon or a long ways down the road. As a result, there’s no better time than the present to make reporting a priority in your organization! Need help getting started? Wondering what else you can do to improve your business’ salability? 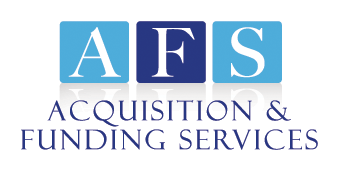 Contact Rory Russell at Acquisition & Funding Services! With decades of experience in the industry, Rory can provide you with insight to help you get moving in the right direction so you can ultimately sell your business for top dollar. Give him a call today at (800) 354-3863 (Rory’s personal cell with 24/7 availability) or contact him online to get the conversation started. Looking for more information about ways to build the value of your business? Check out these six tips for increasing your alarm business’ value. Thinking of changing your reporting habits, but not sure reporting software is worth the investment? Find out how high quality reporting tools can actually make a significant difference for your business. Interested in other ways you can set your alarm company up for future success? Read through our tips for positioning your alarm business for success in the coming year.